Emmanuella Ejime - associationforinsurancemas Webseite! MBA with distinction in Global Strategy, International Marketing, Entrepreneurship and Finance and LL.M in International Commercial Law. 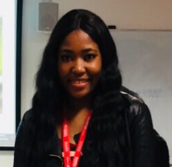 As an experienced Research and Teaching Assistant, I have worked closely with lecturers to deliver quality education to MBA students in Coventry University, London using seminars and activities while also carrying out research work on the employability skills initiative done in the university.